After guiding his country with a sure and confident hand through the darkest times of World War II, Winston Churchill was defeated in the General Election of 1945—once again becoming Prime Minister in 1951. 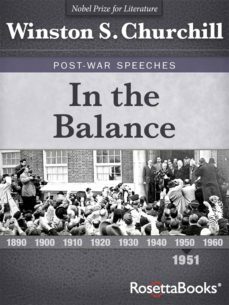 This collection features Churchills speeches, addresses, and other public communications in his period between terms, in which Churchills speaking engagements took him far and wide—including to Brussels, Strasbourg, Boston, Copenhagen, and New York.Major events during this period of history include the beginning of the Korean War, the devaluation of the British Pound Sterling, the creation of the North Atlantic Treaty Organization, and the United States rearmament program. Through these turbulent times, Churchill preached unity among European nations and English-speaking peoples worldwide.